Do you have a single-cup beverage brewing system (e.g. one using K-Cups or other single-use packs) at your home or work? This statistic shows the results of a survey among U.S. consumers. 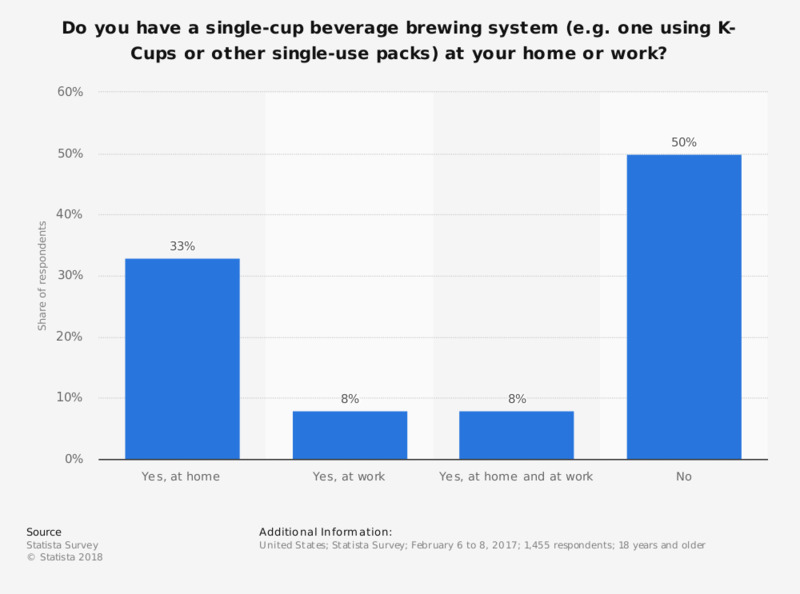 The survey was conducted online in February 2017, asking the respondents if they own a single-cup beverage brewing system at home or at work. Some 33 percent of U.S. consumers stated that they use such a brewing system for coffee or tea at home. Percentages may not add up due to rounding. Have you ever consciously chosen to use a single-cup brewing system instead of buying a coffee or tea drink at a coffee shop? How often do you purchase a prepared coffee or tea drink?